The tradition wires connection need to strip wire, entwist copper core wires, wrap the tape. This process is too tedious and time-consuming. The biggest hidden danger is unqualified operation, which leads to the problems of quality and security in the project. BUT, Use alightings wire connectors to make it quick and simple, we just need to plug the cables into it , clamp the plier with a "clicking". It can be achieved lossless connection. It have finished all the work in 3 seconds. 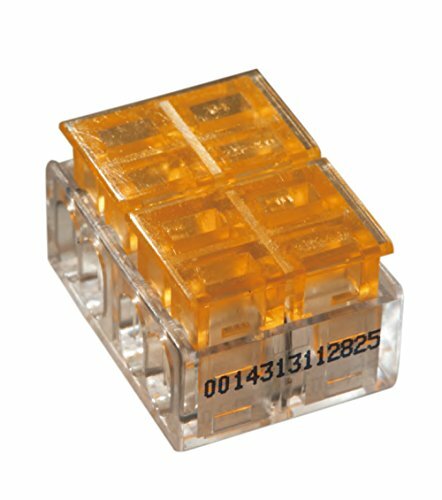 Say goodbye to slow process of stripping and twisting, easy to get perfect connection between wires .